The state Department of Education has conditionally awarded the Valley Unified Regional Service Center a $1.27 million EMBRACE grant to continue its regional partnership in an effort to improve educational opportunities for students. MADAWASKA, Maine — The state Department of Education has conditionally awarded the Valley Unified Regional Service Center a $1.27 million EMBRACE grant to continue its regional partnership in an effort to improve educational opportunities for students. The DOE announced that award and three others around the state Tuesday as part of its regionalization initiative to encourage school administrative units to partner on a regional level to improve educational services and programs. EMBRACE stands for Enabling Maine students to Benefit from Regional and Coordinated approaches to Education. The three school administrative units serving students from Grand Isle to Allagash have been working together for about three years to combine resources and save money in an effort to address declining enrollments and rising education costs. 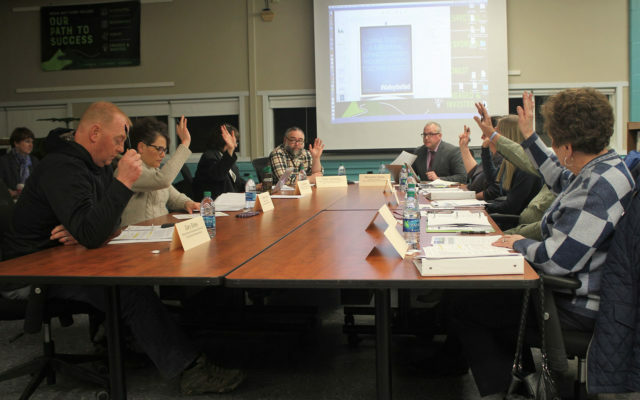 Last year, the state authorized funding the Valley Unified effort up to $100 million for a new St. John Valley based high school that would serve students from the three SAUs, if voters from the member communities agree to accept the funding and the Maine Department of Education approves plans moving forward. Seventeen applicants around the state applied for the current round of EMBRACE funds. The other three winning projects announced Tuesday are the Down East Maine Career and Technical Education Collaborative, Kennebec Valley Multiple Pathways Academy II, and the Maine Center for Leadership and Innovation. The Kennebec Valley project would support “a high school alternative education program that aims to reduce dropout and truancy rates by providing new and improved opportunities for at-risk students” in three school administrative districts in the Bingham, Madison and Anson area. Funding for the fourth project would help create “a leadership academy that aims to provide a high-quality, research-based system of professional learning experiences and support for school- and district-level leaders” for multiple school administrative units in the Brunswick, Portland and Scarborough region. “Based on the funding requests, totaling $4.2 million, the four awardees have projected savings of over $7 million in a 5-year period,” the DOE states in its press release. While the proposed budget request for the Valley Unified Learning Transformed project was $1.27 million, the final amount awarded will be determined through discussions among the school superintendents from the three SAUs and representatives from the Maine Department of Education, according to Peter Caron, the VURSC coordinator of innovative practice and community outreach. — The merger of software systems that feed into the common student information and payroll/accounting systems. “We’re pleased the Department of Education grant review team recognized the merits of our proposal and are looking forward to working with them to develop a final grant award amount,” Caron said.